The Department of Jurisprudence was redesignated the Marshall-Wythe School of Law. Bryan Hall opened as a men's dormitory, named after former President John Stewart Bryan. Other units in this complex included Dawson, 1953, named for Presidents William and Thomas Dawson; Stith, 1953, named for President William Stith; Camm, 1959, named for President John Camm; and Madison, 1959, named for President James Madison. Chief Justice of the United States Earl Warren and the Lord Chief Justice of England Rayner Goddard participated in the College program to commemorate the beginning of the Bicentennial Year of the birth of John Marshall. On this, the 175th anniversary of the establishment of the first chair of law in the United States, the College's Chair of Taxation was established. Phi Beta Kappa Memorial Hall opened, the first building on the new campus. It replaced the earlier building of the same name, which had been damaged by fire in 1953, then rebuilt and renamed Ewell Hall. John D. Rockefeller, Jr., and the Alpha of Virginia Chapter of Phi Beta Kappa provided support for the building. The College commemorated the 350th anniversary of the founding of Jamestown with a series of special days honoring the contributions of prominent alumni in the history of the College. Queen Elizabeth II and Prince Philip, Duke of Edinburgh, visited Williamsburg. The Queen spoke to the College community from the balcony of the Sir Christopher Wren Building. This was the first visit to the College by a reigning British sovereign. A new outdoor drama was staged on campus during the summers along with "The Common Glory." Also written by Paul Green, "The Founders" told the story of Jamestown and was staged in a smaller, nearby amphitheater. The Drapers' Company of London, one of the city's ancient livery companies, provided support for the Drapers' Exchange Program under which students from Britain studied at William and Mary in exchange for College students sent to British universities. Landrum Hall, a women's dormitory, was opened and named in memory of Dr. Grace Warren Landrum, dean of women and professor of English, 1927-1947. The Campus Center, housing offices of student publications and the student association, recreation rooms, theatre, ballroom, meeting and dining rooms, opened. The General Assembly altered the College's name to "The Colleges of William and Mary," an administrative entity embracing the senior colleges at Williamsburg, Norfolk and Richmond, in addition to the new junior colleges, Christopher Newport in Newport News and Richard Bland in Petersburg. President Chandler was named chancellor, or chief executive officer, of the colleges. Davis Y. Paschall '32 took the oath of office as president of the College, succeeding Dr. Alvin Duke Chandler. Dr. Paschall was formally inaugurated as president of the College. Also, the Queen's Guard, a drill unit in honor of the three royal benefactors of the College-Queen Mary II, Queen Anne and Queen Elizabeth II- was invested. Yates Hall, a men's dormitory, opened. It was named for the Rev. William Yates, fifth president of the College (1761-1764). 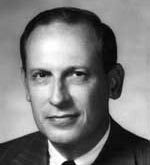 Alvin Duke Chandler became the sixth American chancellor of the College when the responsibilities of that position were redefined to reflect the era prior to the reorganization of 1960. The administrative structure of "The Colleges of William and Mary" was dissolved. The two junior colleges continued to operate under the College's Board of Visitors. The Richmond Professional Institute (now Virginia Commonwealth University) and Norfolk College (now Old Dominion University) became independent institutions. 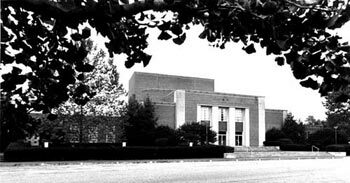 Adair Gymnasium opened. It was named for Cornelia Storrs Adair, a student at William and Mary from 1921-1923. The first Thomas Jefferson Award, established by the Robert Earll McConnell Foundation, was presented to Dudley Warner Woodbridge, dean of the Marshall-Wythe School of Law, at Charter Day Convocation. DuPont Hall, a women's residence hall, was opened and named for Jessie Ball duPont, benefactress of the College and daughter of Thomas Ball, alumnus (1854). William Small Physical Laboratory, housing classrooms and research facilities for the Department of Physics, was opened as the first new classroom building in almost 30 years. It was named for Thomas Jefferson's "beloved teacher" of natural philosophy. The College of William and Mary was authorized to grant its first earned doctoral degrees-the Ph.D. in physics and in marine science. The College established its first Graduate Council in response to the growth of graduate studies. The Virginia Associated Research Center in Newport News for the operation of NASA's Space Radiation Effects Laboratory began operation. Additionally, the center provided graduate study and research opportunities for William and Mary, the University of Virginia and Virginia Polytechnic Institute and State University. Subsequent reorganizations in 1967 and 1969 converted the center into a graduate campus of the College of William and Mary and Old Dominion University, the latter for engineering only. In the 1967 reorganization, the operation of the Space Radiation Effects Laboratory was transferred to William and Mary. The general honors program was established to cultivate a high level of serious interdisciplinary scholarship on the campus. 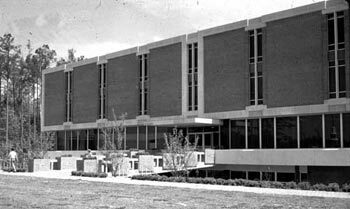 The Earl Gregg Swem Library opened as the keystone of the modern campus. The building was named after Dr. Swem, librarian at the College from 1920 to 1944 and a much-respected bibliographer. The statue of Lord Botetourt was moved into a special gallery in the library. Dedication took place on Charter Day. The Jefferson Prospect, extending westward from the Wren Building, was enhanced with the completion of the Crim Dell area just west of the Sunken Garden. The dell is a specially landscaped wooded area centered on a pond. The School of Education at the College of William and Mary was reestablished and authorized to grant the degree of Doctor of Education in educational administration. Authorization was also given to establish a Ph.D. degree in British and American history. The first Bookstore building opened on Jamestown Road near the Campus Center. The annual Parents' Day program was established, developed by a committee of student leaders. The Institute of Early American History and Culture, established in 1943, began editing and publishing The Papers of John Marshall, a major scholarly endeavor in the field of history and law. Its headquarters was moved from downtown Williamsburg to the Earl Gregg Swem Library. Robert Andrews Hall of Fine Arts opened. The building, at the rear of Phi Beta Kappa Memorial Hall, was named for an early professor at William and Mary, the first professor in the nation to include the study of fine arts in his curriculum. The William and Mary Commons opened. It provided dining facilities on the new campus, supplementing 40-year-old Trinkle Hall. 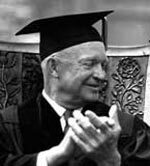 By action of the College Board of Visitors in May, and by action of the State Council of Higher Education in January 1968, the College of William and Mary achieved university status in the modern sense. The "College" remained unchanged, but the new status reflected the growth of graduate programs, professional schools, research responsibilities, and relationships with scholarly and scientific organizations on or in the vicinity of the campus. The College of William and Mary began its Summer Law School Abroad Program on the campus of the University of Exeter in England. The program permitted students to enroll for the summer session under the auspices of William and Mary at Exeter in England, with credits being transferred to the home law schools and applied to the students' degrees. Twelve modern residence units in three buildings opened for the use of the College's Greek-letter fraternities. The facilities were designed for group living, each unit having social and dining rooms. The John Millington Hall of Life Sciences opened on the new campus. Named for a professor at William and Mary (1835-1848), it provided facilities for the departments of biology and psychology. It was dedicated at Charter Day 1969. The Computer Center, intended to serve the entire eastern Virginia region for state-related research and administrative uses, opened on the main campus. The College of William and Mary conferred its first earned doctorate, the Ph.D., in physics. The College community established the Martin Luther King, Jr., Scholarship Fund to provide scholarships to outstanding entering black students. The James Pinckney Harrison Chair of History was endowed by the widow of Mr. Harrison. Dr. David B. Quinn, historian from the University of Liverpool, was selected as the first holder of the chair. The School of Business Administration was established, offering undergraduate courses and the Master of Business Administration degree. The School of Continuing Studies was established to administer the Extension Division, the Summer Session, the Evening College and the Virginia Associated Research Center program. A yearlong observance of the 275th anniversary of the granting of the College's Ancient Royal Charter was begun with a nationwide meeting of alumni connected by telephone with the historic Blue Room of the Sir Christopher Wren Building. Three days later, the 275th anniversary Charter Day Convocation was held, at which addresses were delivered by the Right Reverend and Right Honorable Robert Wright Stopford; the incumbent Bishop of London and successor to the College's first chancellor; and Sir Patrick Henry Dean, Her Britannic Majesty's Ambassador to the United States. Bishop Stopford, Ambassador Dean and Mr. Hugh Farmar, Clerk of the Drapers' Company of London, received honorary degrees. Mr. Anthony Packe, Master of the Drapers' Company, presented a silver rose bowl and candelabrum in token of the anniversary. The College of William and Mary Board of Visitors authorized Christopher Newport College in Newport News, a branch of William and Mary, to become a full four-year, degree-granting college by June, 1971. Dr. W. Melville Jones, formerly dean of the College, became William and Mary's vice president, the first in its history, as part of an administrative reorganization dictated by the increasing diversity of the institution. The Marshall-Wythe School of Law occupied its own building for the first time. The renovated old College library was renamed Marshall-Wythe Hall. The building formerly bearing that name was redesignated James Blair Hall in honor of the College's first president. 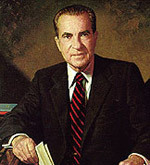 Richard M. Nixon, pursuing his ultimately successful campaign to become President of the United States, addressed a gathering in the Great Hall of the Sir Christopher Wren Building. For the first time in modern history, the president of the College appointed students to College-wide, as well as faculty of arts and sciences, committees. Hugh Jones Mathematics and General Classroom Hall opened. Dedication took place at Charter Day 1970, when it was named for an 18th-century professor of natural philosophy and mathematics. An 11-member Commission on Constitutional Revision, which included College President Dr. Davis Y. Paschall, presented its report to the governor of Virginia during a ceremony in the Great Hall of the Wren Building. Gov. Mills E. Godwin, Jr., said the setting for the historic presentation was "particularly appropriate'' because, "so intimately associated is the name of William and Mary with our country, that we might well symbolically refer to this institution as the Alma Mater of a Nation." Representatives of the faculties and of the students began periodic consultation with the Board of Visitors through committees of the board dealing with academic and student affairs. Dr. Thomas Hearn of the Department of Philosophy became the first recipient of the Thomas Jefferson Teaching Award, endowed by Robert Earll McConnell to recognize outstanding teaching by a younger member of the faculty. 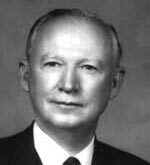 Dr. Hearn later became president of Wake Forest University. Construction was completed on the $5.3-million men's physical education and convocation center. 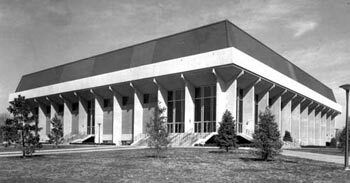 With a capacity of 11,000, the building was named William and Mary Hall. The Board of Visitors approved the inauguration of the Bachelor of Business Administration degree (B.B.A). The College of William and Mary implemented its first undergraduate curriculum revision in 35 years. Two years in study, the revision emphasized a more flexible approach to the educational process. Thomas Ashley Graves, Jr., associate dean in the Harvard Graduate School of Business, took office as the president of the College of William and Mary, succeeding retiring Dr. Davis Y. Paschall. Construction was completed on a new small-unit residence hall complex of nine units, with each unit housing 42 students. In 1973 the Board of Visitors named the complex, the Botetourt Residences, in memory of the colonial governor, Norborne Berkeley, Baron de Botetourt. The Board of Visitors abolished the School of Continuing Studies and placed responsibility for adult educational opportunities in the new Office of Special Programs. This action eliminated the Extension Division, which had been established in 1919. The Society of the Alumni moved into the Bright House near Cary Field, establishing it as the first Alumni House in the history of the College. The society launched a "New Era" fund-raising campaign, which was successful in raising $300,000 to renovate the Bright House for use as an alumni facility. Dr. Graves was inaugurated as president of the College at Charter Day, held in William and Mary Hall and attended by dignitaries from throughout the nation. The College initiated Project Plus, an innovative educational program in which 84 students lived and studied together under the same faculty who taught in the residence itself. The new residence hall complex provided the facilities for the program. The Order of the White Jacket was founded with the goal of strengthening bonds among alumni who worked their way through the College by holding food service jobs. OWJ operates as a recognized special interest group of the Society of the Alumni. The College completed construction on a new health facility, which was named the David J. King Student Health Center for a former College physician. The College of William and Mary established its first language house in the new residence hall complex to provide a common environment for students pursuing a foreign language. The first major renovation of the President's House in more than 40 years was completed. 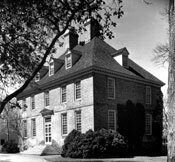 The National Center for State Courts-a research organization designed to improve the administration of justice in the state courts-decided to locate its headquarters in Williamsburg on property owned by William and Mary. 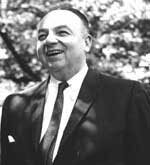 The Board of Visitors named the new social sciences building Richard Lee Morton Hall, for the nationally known colonial Virginia historian and College faculty member from 1919-1959 and longtime history department chair. The first volume of The Papers of John Marshall was published by the Institute of Early American History and Culture, co-sponsored by the College of William and Mary and Colonial Williamsburg. Ash Lawn-Highland, a 466-acre Charlottesville estate where William and Mary alumnus and President of the United States James Monroe once lived, was left to the College in the will of Jay Winston Johns. William and Mary became one of the first universities to be named a Bicentennial Campus by the American Revolution Bicentennial Administration. A new chemistry and philosophy building was named for William Barton Rogers, alumnus and former professor who was a founder of the Massachusetts Institute of Technology.